It’s hard to believe it is Sep 8th already. That means the big white springs should be on the way. There have been a few tyees caught this past week, but for the most part the big wave of whites hasn’t shown up off the South Arm or Cap. We have had some pretty big tides this week, so we should see things pick up in both locations in the coming days. The whales were also in these past few days so any reds or whites that were hanging around probably took off up the Fraser with the big tides on the full moon and the orcas swimming around off the South Arm and North Arm. Back tracking a bit to last weekend, it was pretty awesome. We had some flat calm seas, hot weather and some nice fish! Unfortunately it slowed down mid week, pretty much to a stand still. But as usual, most of the fish that were caught, were caught on bait. Bait really is the way to go this time of year and the hot depths have been 30-80 on the downriggers. Not much has changed on what teaser heads are working. Chrome versions, and UV Green or UV purple on the shallow rods and glow green or glow chartreuse versions on the bottom rods have been working well. 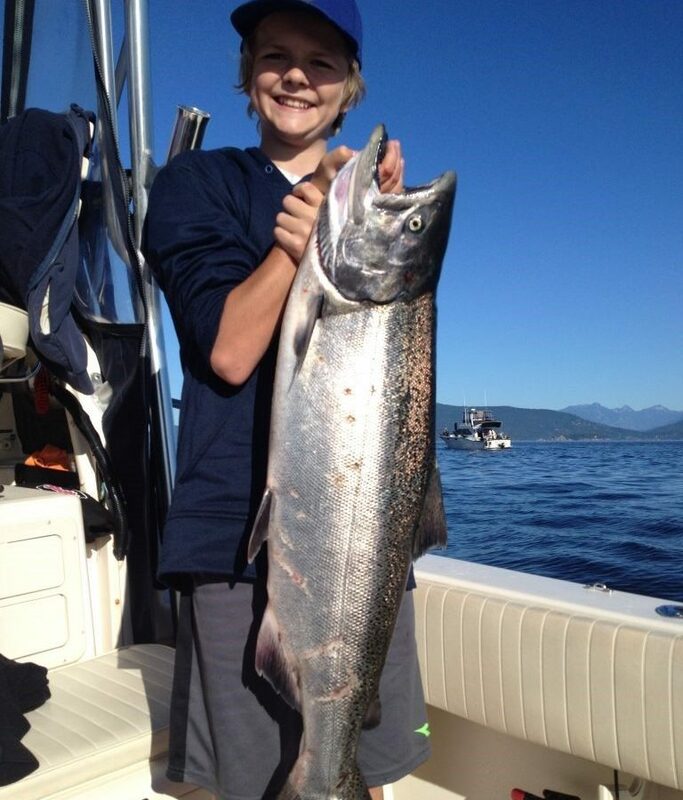 There have been a few larger coho caught these past few days too. 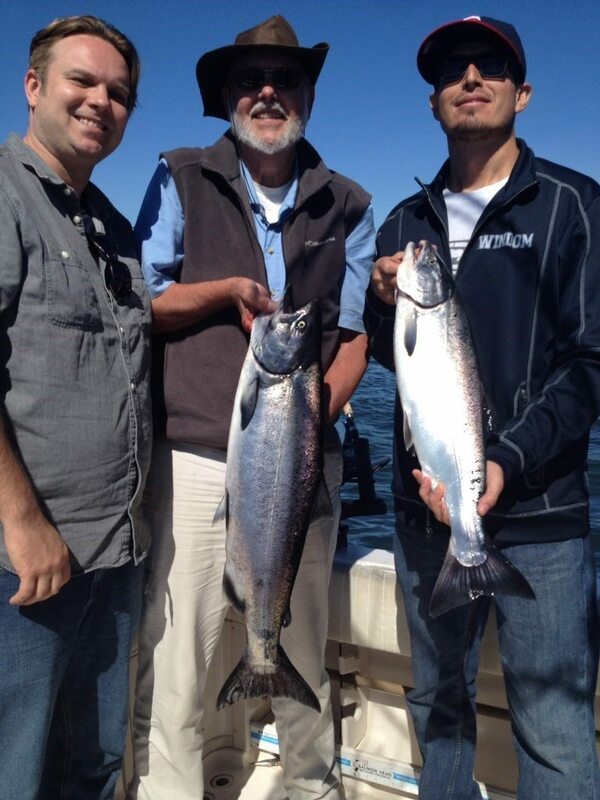 Remember, hatchery only on the coho. We may see more of these fish, particularly down off the South Arm in the coming weeks. So for now we are patiently waiting for the next wave of chinook to show up. There will be a few late reds, but this next push should be mostly whites and some of the biggest chinook of they year, so can’t wait for that!